Thanks to all of our Southlake, Uptown, and Preston/Forest Bibbentuckers customers. You have helped divert 5,720 pounds of material from the Dallas County landfill. Our Dallas recycling resource is Recycle Revolution. Their mission is to foster a culture of recycling and composting in North Texas. They provide outstanding services to businesses that care about the environment. They also use our and other company’s success stories to rally neighbors and community in order to heighten awareness regarding the health of our environment. Recycle Revolution is one of our best vendor/partners in the North Texas community. They work with both Uptown and Preston/Forest Bibbentuckers locations to divert recyclable material like paper, cardboard, hangers both metal and plastics from the landfill. Bibbentuckers has shown a fantastic level of commitment to maximizing the amount of material that is captured in its recycling program. Earlier this year our Recycle Revolution set up training sessions for employees to make sure that the best recycling practices are intact and to educate them on the impact of their efforts. 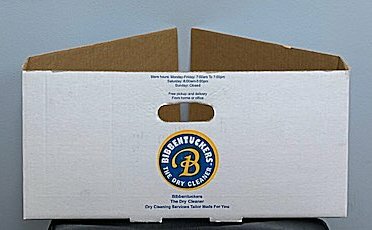 Bibbentuckers stores accept metal and plastic hangers, carton and tissue along with our own plastic garment covers for recycling. You may bring them into our stores during regular business hours or return them to your Route Manager. Our two stores in Park Cities — Snider Plaza and Preston Center use the City of University Park Recycling Center. The Bibbentucker Plano store sends its recycling to the Plano Environmental Waste Services. The Bibbentuckers locations send returned plastic garment bags to FabriClean Supply for recycling rather than send them to the landfills! 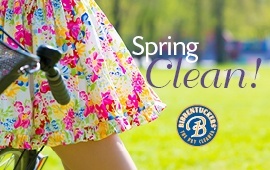 Finally, please visit our Seasonal Specials page for Spring Clean Couture Coupons, and don’t forget to try our new App. Customers love the new SMS/text messaging service within the App!